Happy happy Friday! All days are happy that start with Fri- and end with -day right? 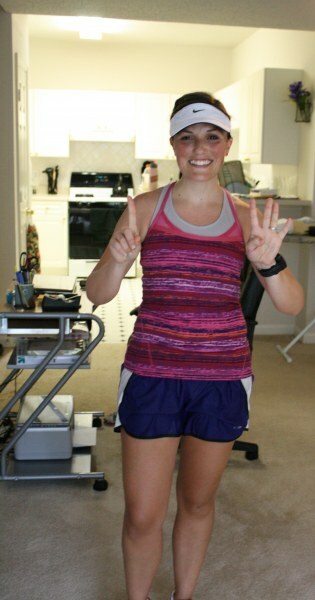 Even though I’ve been in a bit of a blogging funk this week, I couldn’t skip out Fitness Friday! If I do anything through Fitness Friday I hope I show how “normal” I am when it comes to fitness. Sure, I push myself hard some weeks, but some weeks I seriously slack off. Some weeks I’m really proud of my fitness accomplishments and sometimes I’m really hard on myself, even though I shouldn’t be. I have a difficult time giving myself a break when I fall short of what I know I can accomplish. Looking back on the week helps me see how much I am doing for my health. I have the bad habit of focusing on my weaknesses so when I look back in my mind on the past week, Monday and Tuesday stick out to me. Those were the days I slacked off and didn’t do a thing for no particular reason than I just didn’t want to work out. Seeing the week in totality tells a different story — one that I should be proud of. 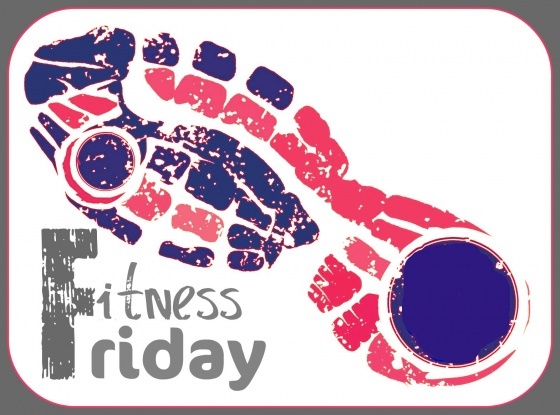 Fitness Friday is just as much for myself as it is for my readers. I hope you enjoy reading it and if you have any suggestions for anything you would like to see fitness-related, please let me know. I can’t give fitness advice because I’m not qualified, but I can tell you what does and doesn’t work for me. Last Saturday, I completed my long run of the week with my friend Michelle. It was wonderful having someone to run with and the weather cooperated, which was double wonderful. We had plans to run on a green way, but was afraid that the crazy storms the day before had washed away the dirt and gravel parts of the trail. Instead, we met near Michelle’s apartment and did a huge loop through South Park and Dilworth. Michelle let me take a quick shower at her house before I headed off to do some grocery shopping and grab some coffee. I always drink coffee after my long runs. Even when it’s hot outside, I drink steaming hot coffee, usually in the AC of my car. I get really chilly after a long run, no matter what the weather, so it warms me up a bit. Plus I’ve read about a bajillion places that caffeine helps with muscle recovery. Sunday was my one year wedding anniversary so Brad and I spent the day together. We rode our bikes for about an hour in the morning, then went to a Vinyasa yoga class together midday. I’m especially hard on myself when it comes to yoga, but Brad told me I looked like I know what I’m doing. Maybe he was just trying to make me feel good about myself (he’s always good at that), but it really did make me feel good about continuing to go to yoga, or at least better than usual. Thursday – This body weight circuit from Naomi – I got through the circuits 2 1/2 times. Basically I did each circuit twice before moving onto the next, then tried to do each circuit one more time, but ran out of time. And truthfully, I thought I was going to dry heave if I did one more burpee. I’m pretty sure Satan himself created those things. My version of hell is doing burpees in a hot yoga room while a Nickleback album plays on repeat. Friday – This HIIT treamill workout from Naomi that she got from Jillfit. I also through in three circuits on five weight machines. I used heavy weights and only did 8-10 reps for each. Last, I did two sets of plank exercises: standard plank (1 minute) and side crunch planks (x 20). Guys, this HIIT workout was no joke. If you’re like me, when you see the walking portion at 2 mph, you might wonder if you should amp it up a bit. You will be begging for those minute long 2 mph intervals. Trust me. I thought I was going to die. I had to give myself a pep talk, oh about 15 times, so I could maintain running on the steep incline. – You can do anything for 1 minute. – You’ve already gone halfway so you can definitely do the rest. – Refusing to look down at the timer. – Distracting myself by thinking of anything else (usually food and clothes are good distractions for me). – Thinking of the 2 mph intervals as a reward for my one minute interval of insanity. If you’ve never done a HIIT workout, you might want to start off with something a little less challenging or modify this workout to have less of an incline. It’s obvious whose blog I’ve been stalking for workout ideas. Naomi has tons…literally, tons (! )…of workouts on her blog One Fit Foodie. Plus, unlike me she’s actually qualified to give fitness advice. In the upcoming week, my goal is to focus more on strength training and fit in two HIIT workouts a week, which means ditching one of my tempo speed runs on my marathon training plan. Where do you get workout ideas and inspiration? Links are welcome! Great job this week, Kelly! I’m always freezing after hot long runs too. I think our wet clothes are evil and try to give us hypothermia! And that HIIT workout looks insane. Seeing the inclines made my piriformis hurt! i laughed out loud at the hot yoga + burpee comment. you are awesome! great week of workouts! 6.8mph at a 10 incline?? I can barely run 6.8mph at no incline!! I have been getting a lot of my strength workouts from the Women’s Health Big Book of Exercises. I really like it. That treadmill workout sound INTENSE!! I also love HOT coffee after workout – I can’t do iced then for some reason.